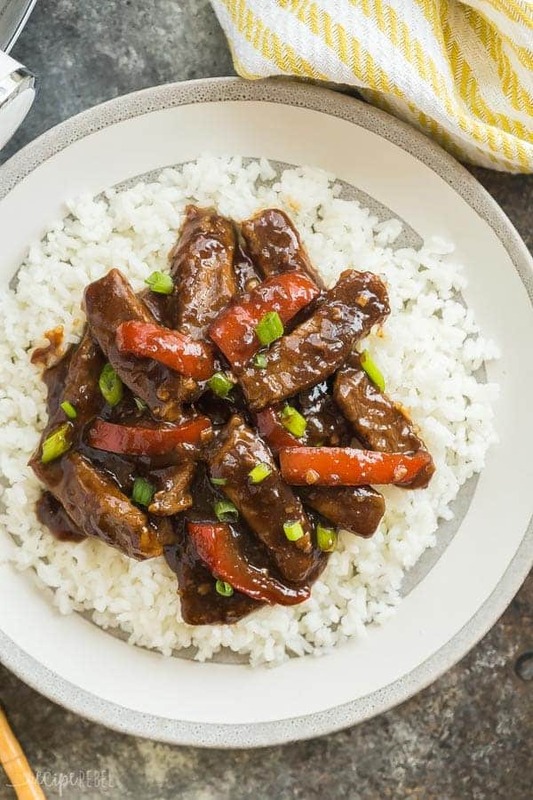 This Slow Cooker Mongolian Beef is so quick and easy — throw everything in the crockpot and let it cook! Tender strips of steak, covered in a rich, dark sauce full of Asian flavours with a touch of sweetness. I know sometimes it seems like a tragedy to put steak in the slow cooker. When I sent my husband grocery shopping for this dish, I requested sirloin steak — a nice, lean, middle of the line steak. He purchased striploin steak — an incredible, but pricey, cut of steak we reserve only for the grill. The crockpot does such an amazing job at tenderizing less expensive cuts of meat, there is really no need to go all out here! Just throw everything in and let it cook away for a good part of the day and know that dinner is taken care of. 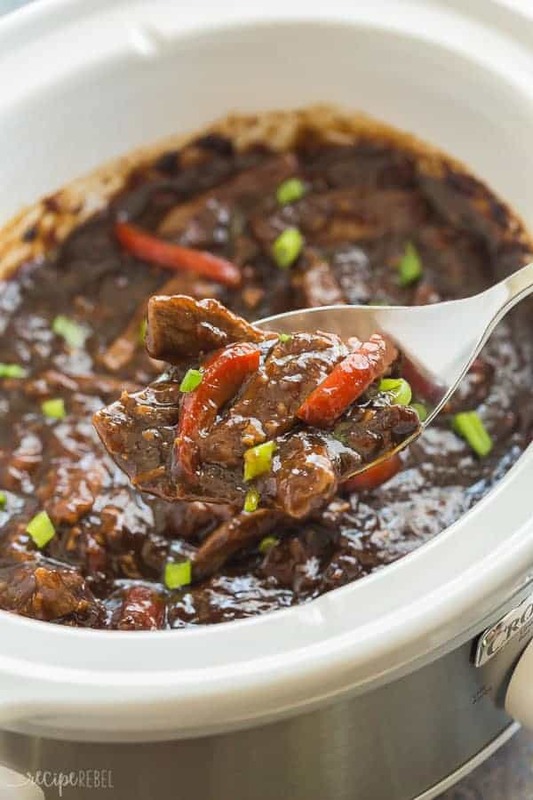 This Slow Cooker Mongolian Beef has a rich, dark sauce — not too sour or too spicy, compared to the Honey Balsamic Pulled Pork or the Sweet & Spicy Coconut Grilled Chicken. The flavours are a lot more subtle in this dish, and it goes perfectly over rice or noodles. 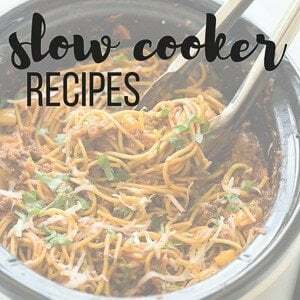 I love using my slow cooker for supper when I’m going to be home all day. Maybe that sounds weird to you, as it’s such a great appliance to use when you’re going to be gone all day. But sometimes I just love having a full day to “relax” (like that ever happens) and not even having to make supper when 5:00 rolls around. It’s about as good as a staycation gets for us these days. So I put this in the slow cooker day on a rainy Monday off from work and spent a lazy afternoon on the couch — it was the perfect end to a long weekend! The recipe makes a good amount of sauce. We like a lot of sauce, perfect for spooning over whatever else is on your plate! I have made this recipe and browned the beef first in a frying pan before adding it to the slow cooker. It’s an extra step that isn’t necessary, but the steak will hold in the juices instead of diluting the sauce. If you don’t like your peppers and onions soft, feel free to just toss them in for the last hour — I put mine in for the whole cooking time. Once again, laziness. Do whatever works for you, and whatever your family prefers. If you like things spicy, feel free to add in a pinch of red pepper flakes when you’re stirring up the sauce! 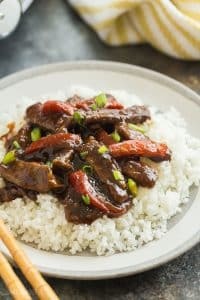 This Slow Cooker Mongolian Beef is so quick and easy -- throw everything in the crockpot and let it cook! Tender strips of steak, covered in a rich, dark sauce full of Asian flavours with a touch of sweetness. In the slow cooker, combine the water, soy sauce, hoisin sauce, apricot jam, corn starch, garlic, and ginger with a whisk until smooth. Cook on low for 5-6 hours or high for 3-4 hours. Serve over rice or noodles. *See notes in post above regarding browning steak first and adding peppers later. Decided to give this a try – made it tonight and I was thinking it was smelling too much like molasses, probably from the hoisin sauce. But I didn’t change anything except add some red chili flakes because I like heat. It is absolutely amazing!!!! The rating area is not allowing me to give any stars but I give it 5!! Made it today, everyone loved it especially the sauce. Very easy to make, just throw everything in the slow cooker and forget it. I would give it five stars. I love Hoisin Sauce, I always have some on hand. I make a similar sauce for stir fries but I’m intrigued by the apricot jam, sounds good. BUT I don’t have any…….I was thinking that pepper jelly would work instead, and as a bonus would also add some heat…?? And tang? What do you think? I think pepper jelly would definitely work but will change the flavor for sure! I’d love to hear how it goes! 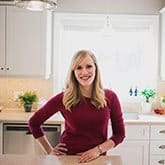 Can u make in an instant pot, and if so how long to cook? Yes, you definitely could but I can’t estimate a cook time just yet as I haven’t tried. 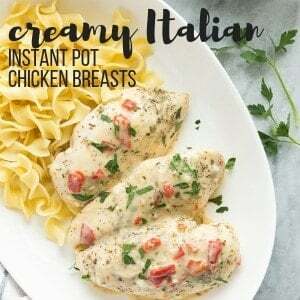 I will have to come up with an Instant Pot version soon! I am just drooling over this sauce. What a neat idea to use the apricot jam! I’m not able to print the recipe. The print button seems not activated. made this and it was good the first night and even better as left overs 2 days later. Can this recipe be doubled to make for a larger group of people? It can definitely be doubled! I would make sure you use a 4 quart slow cooker or larger. It said TENDER BEEF IN A RICH DARK SWEET AND SOUR SAUCE !!! It SOUR ,did you forget to put that in the recipe???? This looks amazing! I would love to try this but I’m allergic to apricot. Is there anything I can substitute or can the apricot jam be omitted altogether? Hi Lisa! The apricot jam can definitely be omitted. If you like things with a touch of sweetness, I would substitute maybe orange marmalade or even some brown sugar. Great, thanks! How much brown sugar would you recommend? I would start with a tablespoon or two and adjust to your tastes. Hope that helps! Will be trying it out this weekend. Thank you! If it’s garlic powder it will say garlic powder, if it says garlic it is minced garlic. This was fantastic!! I am not a fan of ginger so I omitted. However, I love garlic so I probably added about six cloves. As suggested, I browned the beef (boneless sirloin) prior to adding to the crock pot to prevent effecting the sauce. Used lite soy. Did not thicken at the end per hubby since he was happy with the sauce as-is. Added blanched broccoli to each serving and served over thin spaghetti. I think I’d like to add a little heat next time so will be trying with a couple chili peppers. Because yes, there will be a next time!!! Thanks Cathy! So glad to hear you liked it! Looks fabulous! Would it be suitable to freeze? I have never frozen it before. Would you want to freeze it before cooking or after? I would think you could slice the beef and freeze with the sauce before cooking, but I’m not sure about after. I’m sure you could, I’m just not sure how it would change the texture or quality! I don’t see in the instruction when you add the hoisin? “Soy sauce through apricot jam” means including everything in between the two. That is where you will add the hoisin. Hope that helps! 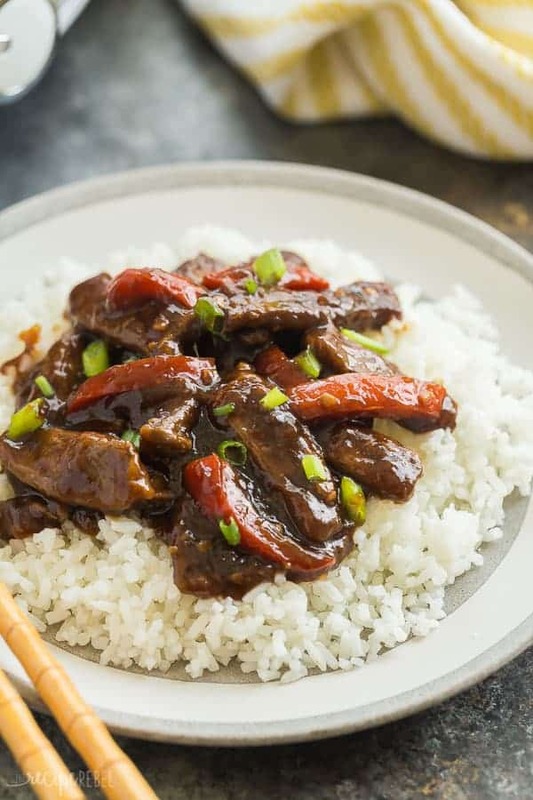 Dude, I love mongolian beef. . can’t wait to try this, Ashley! I have a 6 quart and find that happens often too! When I know I need to leave something in all day, I often put the meat in frozen so that it doesn’t get overcooked. Otherwise I set it for a lower time and let it go to Keep Warm. I love this served over pasta instead of rice- I would have never thought of that! Sounds amazing. Thanks Dan! It would be great over rice as well! Making this right now, waiting patiently until it is finished! We love our slow cook meals when we’re all busy with work and school here at home. Looking forward for the finished product, smells delicious already. Thanks Jason! I hope you like it! I made this tonight and I don’t know what went wrong. I followed the recipe exactly. The sauce never thickened up and in the end all you could taste was cornstarch. I’m sorry to hear that! Maybe your beef let out a lot if juices that diluted the sauce? Next time you could try the browning first — it helps seal in the beef juices. Hope that helps! I work at home and the crock pot is a life saver! I’ve found in the last few years that you really can’t leave a recipe cooking all day because newer crock pots cook at higher temperatures, even on low, so that chicken dishes take only about 2-3 hours to cook and pot roast is done in no more than 5-6 hours tops. I’m really looking forward to trying the Mongolian Beef! Thanks Anne! It was a big adjustment when my old one broke and I got a new one. My new one actually cooks at a lower temperature, but my previous one was still pretty new. This sounds pretty nice, would this work with bone in chicken thighs, browned first? I think that would work very well! The sauce would add great flavour. I’m just not sure on the cooking time, with bone-in thighs, you might want to cook it a little longer. So…has anybody tried adding other vegetables to this dish? Broccoli or baby carrots? I’m sure both would be great, though I’m not sure about cooking time. The carrots might require more cooking time than the beef, and I’m not sure about the broccoli. It’s worth a shot! This really looks great and I will make it. Although I do have a question, you say in the recipe: Combine the soy sauce through apricot jam in a medium bowl. Pour into the slow cooker, but when do you add in the Hoisin sauce, the garlic and the ginger and also when do you put in the 1 cup of water? Maybe I didn’t read it good, but it is not mentioned anywhere. Thanks Ashley for replying so fast, I understand now so I will be making it this week. I am sure it will taste even better then it looks, and believe me it looks very good. Sounds delicious, looks foolproof, I’m in! Does it matter whether I use light or dark soy sauce? I have both but wondered which you used? I am not a huge lover of soy sauce (I find it can be so salty!) so I would use light. But if you really like the flavour you could use the dark. I want this so bad. I love Mongolian. Thanks for sharing. Hello from Freedom Fridays! Saw this posted on Facebook and it looked good so made it today. That sauce is amazing! Will definately make this again. Thanks Debbie! It’s always nice to hear how recipes work for others! Oh my!! This just looks fantastic!! I am sure the combo of jam and hoisin is just wonderful. Plus, I imagine the meat gets so tender in the slow cooker. I am making this soon!! Pinning. Thanks Elizabeth! The slow cooker can so some pretty amazing things! So right now, I have drool coming out of the corner of my mouth. Seriously. I love my slow cooker, all the time. I also really love Mongolian Beef. I am going to add this to the menu this next week. It looks so good. YUM. Let me know how you like it Kathleen! Thanks Marcie! Let me know what you think! Lol. Slow cookers are incredible machines! They are perfect in all seasons, but we don’t have AC so it’s definitely a must in the summer! This looks fantastic! I am a big crock pot fan too! I am adding this to my “to try” list! Thanks Annie! Let me know how you like it! OH my goodness I can smell it already! I was just making a shopping list for the week… this dish is so on it. We love Mongolian Beef.. but in the crock pot? I think I’m in love! Pinned! Thanks Krista! 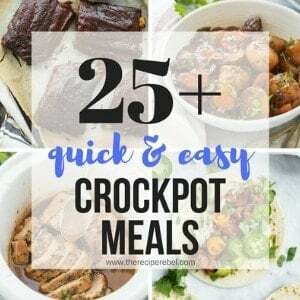 Everything Crockpot is a win in my books! Thanks Matt! We love our Asian food!